Engine: 327 Hi-Po full FIA spec prepared by HRS (Feb 2008), 429 HP. Gearbox: Muncie M21 4 speed. Differential: Eaton Posi Performance, Limited Slip. Fuel cell: ATL Custom build 130 litres. Weight: 1225 kg with special lightweight doors & side windows. 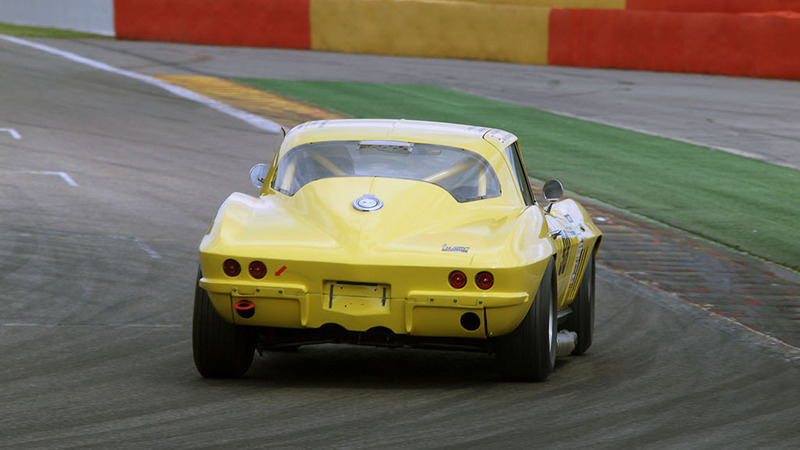 Around 10 percent of the manufacturing year 1965 has been build as a coupe model; the other models were build as a roadster. 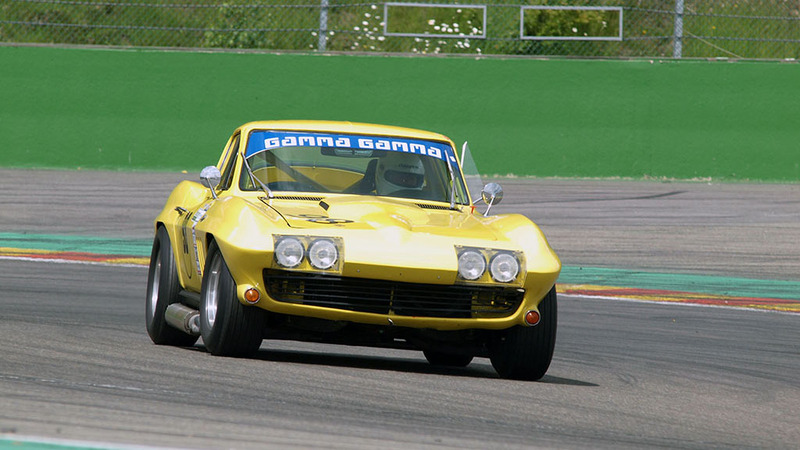 This Corvette has been restored in 1996 with an incredible perfection and with the most attention to detail transformed to historical racing car. Champion GT’s in the Swiss Championship of 1998, afterwards loving cherished. 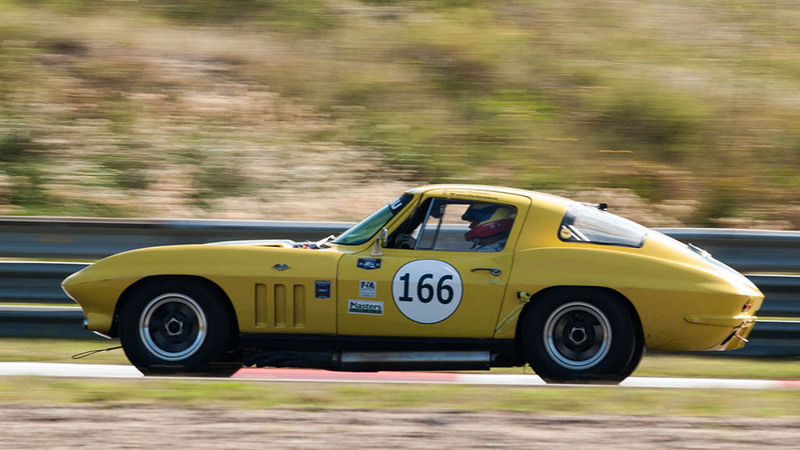 A stunningly fast and yet fantastically drive-able beast. 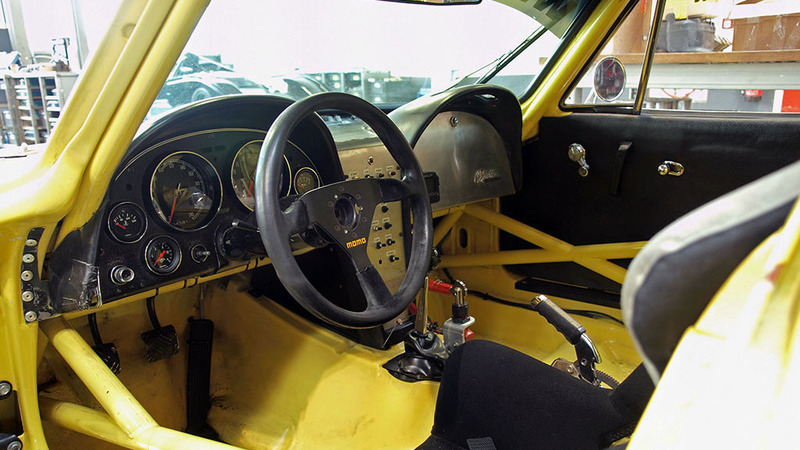 Will pass ’72 Porsche RSR’s at Spa-Francorchamps without any problem. 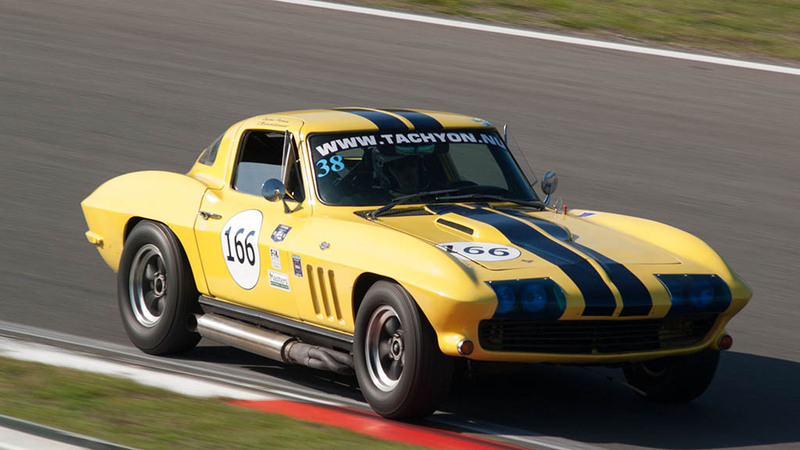 The car came to Holland in 2005 in a perfect condition. 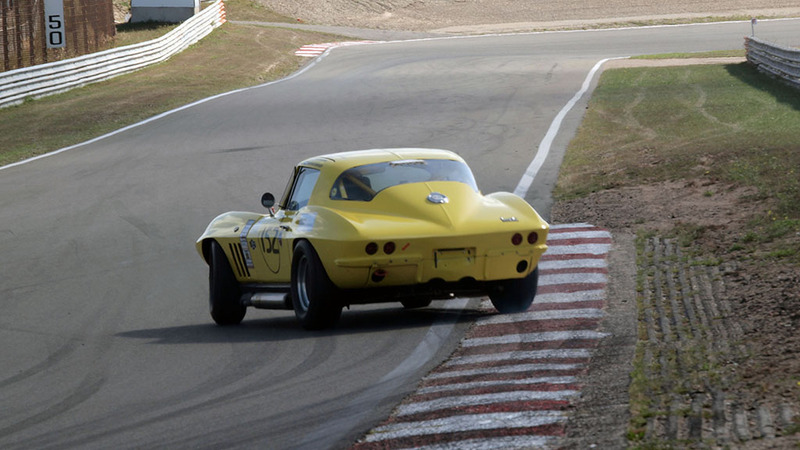 Fastest Corvette in Europe; Silverstone Classic 6th, AvD Oldtimer GP 500 4th, Copenhagen Historic GP 1st, Dijon Dutch GT 1st, Spa 6 hour GT race 4th.